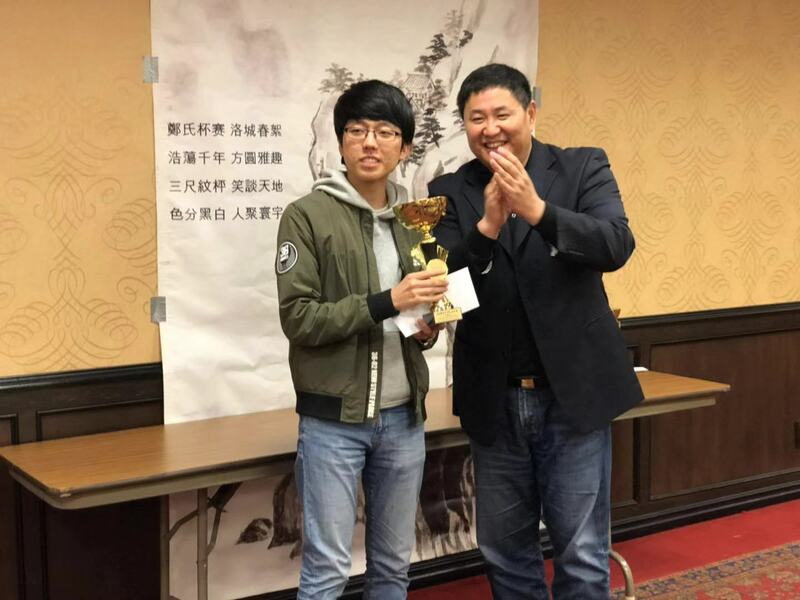 Gabby Su won on time in Round 2 of the Wu Qingyuan Cup Qualifier, tying things up 1-1 in the best-of-three match against Yinli Wang. 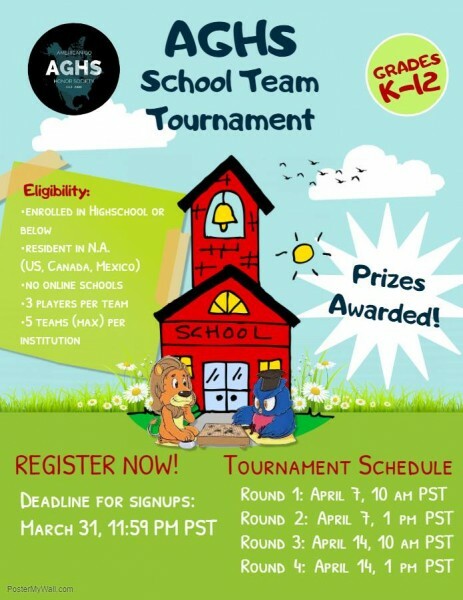 The deciding game will be Thursday, 3/14, at 6 PM EDT in the AGA Tournament Room on KGS. “I was invited to the opening ceremony of a new exhibition at the Chinese American Museum of Chicago,” writes Xinming (Simon) Guo. 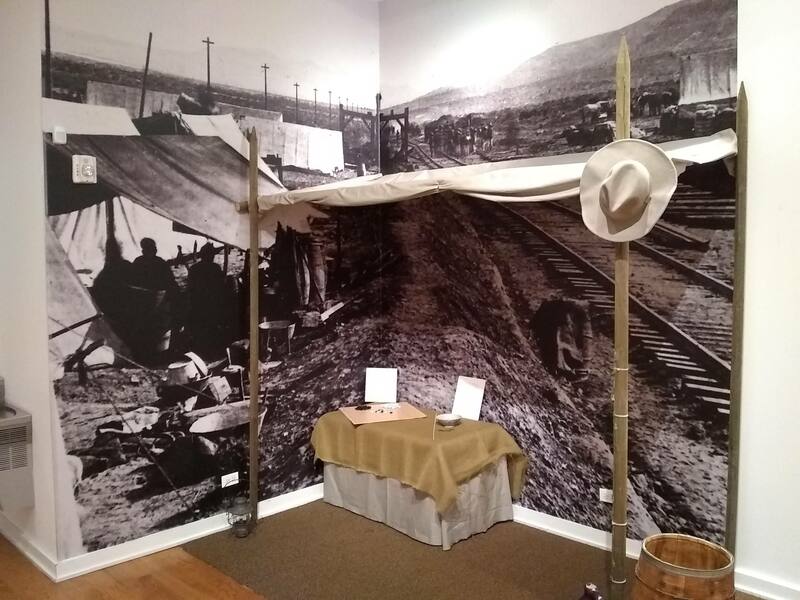 The exhibition, “The Chinese Helped Build the Railroad – The Railroad Helped Build America,” features the history of the 12,000 plus Chinese workers who contributed in the building of the world’s first Transcontinental Railway in United States in mid-19th century. 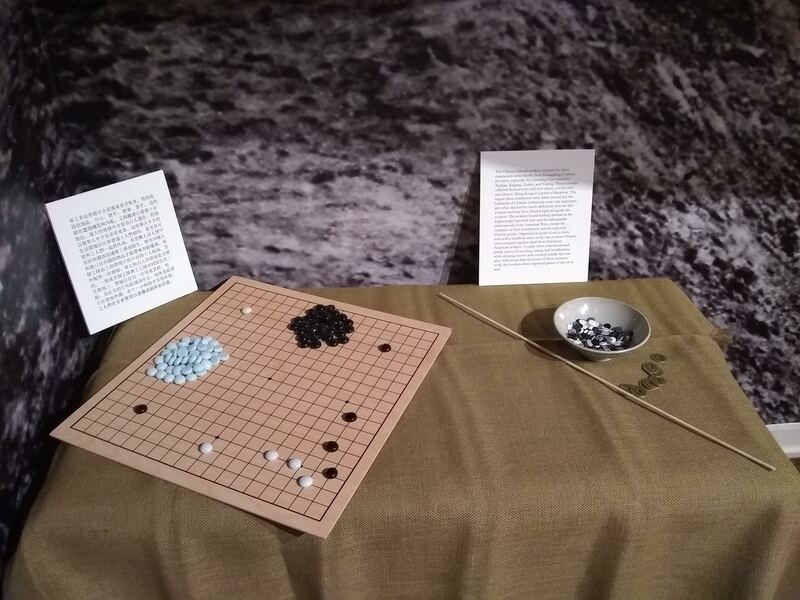 “I was so astonished when I found a Weiqi game in the exhibition,” says Guo. The introduction says that these Chinese railroad builders worked in inhospitable environment of the American West and gathered to play fan-tan (a gambling game) or Weiqi after more than 10 hours of back-breaking work each day. 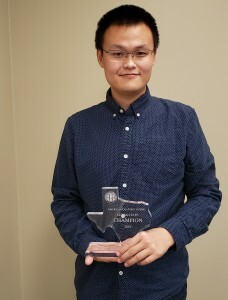 Mark Lee 7D, once again showcasing his flawless opening technique and middle game fighting strength, defeated all six opponents to win the 2019 Zheng Cup (formally known as Southern California Go Championship) held on Feb. 16-17. Lee defeated all his opponents by resignation and now holds an impressive record of 21 consecutive wins without any losses in this tournament. Tyler Oyakawa was second and Yixian Zhou third. 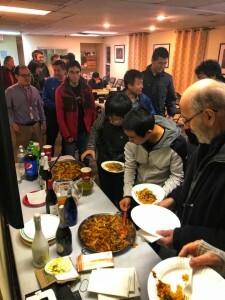 Other section winners included Kosuke Sato [2 dan to 4 dan Section]; Zhengwen Bi [1 dan to 3K Section]; Kevin Yang [4K to 12K Section]; Ethan Wong [13K to 30K Section]. As anyone who’s either a renewing or new AGA member knows, our online enrollment system has had a technical problem in recent months. Folks renewing their memberships or joining the AGA have encountered off-putting messages during the online process. Rest assured that everyone’s memberships are being carefully taken care of, albeit by a time-consuming manual input by our redoubtable membership team, which adds “you may disregard any error messages you receive in the process.” Our technical staff is developing a new, automated system via PayPal that they hope will be operational in the near future. “We have a new system, working software, and a plan,” our teams say. Our apologies for the glitches, our thanks for your patience, and stay tuned for updates! In Game 1 of the best-of-three Wu Qingyuan Cup Qualifier between Gabby Su (w) and Yinli Wang (b) on Tuesday night, Yinli won by resignation. The second game will be Wednesday, March 13, at 6 PM EDT in the AGA Tournament Room on KGS, with the third game, if necessary to be played Thursday. The two are competing for the final slot on the North American delegation that includes Feng Yun, Stephanie Yin, and Cathy Li. The second Wu Qingyuan Cup will be played April 26-30 in Fuzhou, China. This post has been updated with the correct spelling of the Wu Qingyuan Cup. Registration for the 2nd AGA Girls Cup is now open. Modeled after the Redmond Cup, the AGA Girls Cup strives to promote go among girls and recognize the top young female players in North America. Competitors must be female, 15 or under, have an accredited rank of 10 kyu or higher, reside in the US, Canada, or Mexico, and be members of their respective national go association. 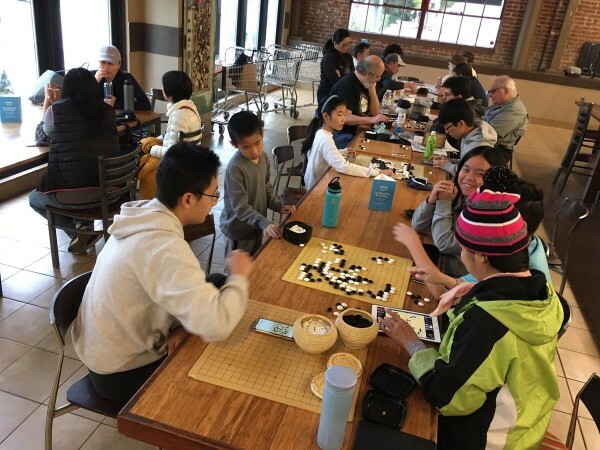 The top two finishers of the online preliminary tournament will win a free trip to the 35th US Go Congress in Madison, Wisconsin to play in a best-of-three finals, courtesy of the American Go Foundation. All other competitors who complete the preliminary tournament will be eligible for a $200 scholarship to the 35th US Go Congress. Registration is open until March 30th and the tournament will begin on April 1st. For more information about the tournament and other rules, please read the Rules and Regulations. -Story and photo by Justing Teng, AGA Youth Coordinator. 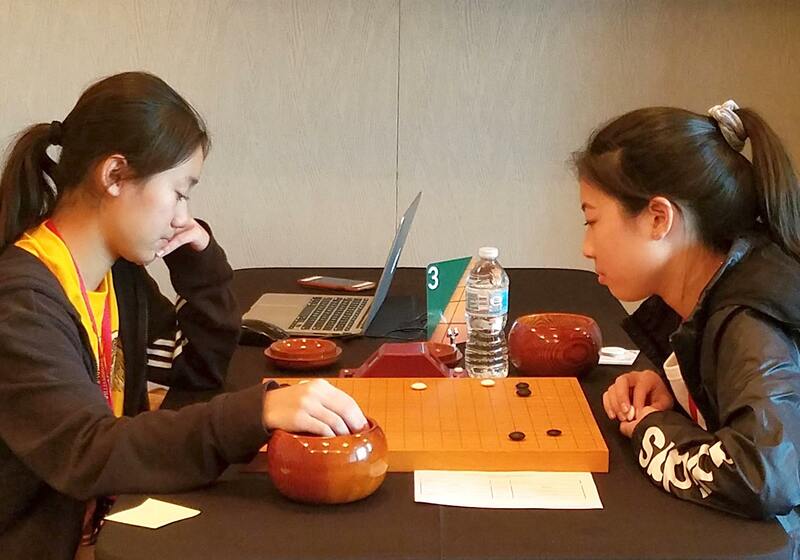 Photo: Tianyi Tina Li (l) plays Melissa Cao (r) at the Girls Cup Finals in Williamsburg VA last year. Registration is also open for the NGC’s first ever 2-day tournament, the Cherry Blossom on March 30-31.